Note: The date ranges listed in the above charts are for reference only. These charts are to help you plan your application process in systematic and smooth manner. Check out my interview in Homemaker Magazine's with Shweta Singh on the topic "Courses with Job Placement Guarantee – Worth it? (प्लेसमेंट के चक्कर मे गुमराह तो नही हो रहे आप? )” - Homemaker Magazine February 2013 Edition. Check out my article on Parsi Times Newspaper dated 2nd February 2013, on “So, You Wanna Be A Game Designer?”. Article Title: So, You Wanna Be A Game Designer? Many of us have spent our childhood days playing video games and computer games such as Super Mario, Road Rash, Mortal Combat, and Need for Speed. Kids and teenagers today are hooked onto games such as Angry Birds, Farmville, Rock Band, Grand Theft Auto, Counter strike, and Ages of Empires. If you are crazy about playing video games, and possess a creative and logical flair for designing, then you may consider a career in game design. Possessing strong interest and liking for video and computer games is the first basic criteria for being a professional game designer. But that is not all. You should be good in drawing and sketching. You need to be creative, innovative, detail oriented, patient, and systematic in your work. A successful game design is only possible by a combined effort of several gaming professionals. Thus you should have the capability to work well in a team or group setting. Other skills required are strong analytical, time management and leadership skills. As a game designer, you should also possess good sense of colour, size, proportion, excellent visualization power, and follow a multidimensional approach to design. You need to follow the 3 C’s – coordination, cooperation, and conciliation. There are several parts to designing a game. Developing the overall theme, design, storyline, characters, animation, programming, level setup, sound effects, background setup are some of the stages involved in game design. Thus several people are involved in creating a game. You could be working as a game designer, game developer, game programmer, game artist, game tester, game script writer, game manager, network programmer or sound engineer. Game Designer is responsible for the playability, fun factor, game level designing, and user interface of the game. Game Developer works on software development and deciding the rules and theme of the game. Game Artist uses his/her creativity to create characters and animate them in 2D and 3D. Game Programmer is involved in designing and developing the program code of the game. Game Tester performs quality assurance and works on finding mistakes and bugs in the game. Game Script Writer creates the story of the game, and writes dialogues for various characters in the game. Sound Engineer is responsible for the overall acoustics and sound effects of the game such as explosions, crowd noises, and stormy weather conditions. Network Programmer develops the program code for game usability on the Internet or LAN setup. Game Manager ensures that the game is developed on time and within budget. If you are looking for a job role such as game designer, developer, programmer or engineer then you should possess strong technical background in computer science, programming, networking, engineering, and information technology. Thus, a graduate/postgraduate in Computer Science, Computer Engineering, Computer Applications and Information Technology would be preferred for these job roles. If you are applying for job as a game artist, sketch artist, storyboard artist, or script writer, then you should possess strong creative background in animation, 3D modelling, visual communication, graphics, VFX, sketching, caricature art, and creative writing. A graduate / postgraduate in Animation, VFX, Fine Arts, Game Art, and Digital Media would be preferred for these job roles. With growing interest in the field of game designing, many institutes are now offering courses with a specific focus on game art, game development, and game design. Pros: First of all, career in game design provides you a platform where your profession and passion are the same. If you are skilled in your work, you can get a good salary. Since this field requires you to be creative and logical, you get 360° knowledge of both the fields of Arts and Information Technology. Cons: This career requires a detail oriented approach. 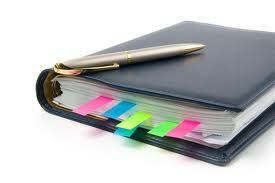 You will be following tight schedules, and you should possess the ability to work in stress and pressure situations. Also, working hours can stretch to 10-15 hours a day. Since this is an evolving career in India, there are limited job opportunities. However, the scope of growth of gaming industry is very high. First and foremost, I would like to thank Ananth Vitlani for nominating me for Liebster Blog Award. This is my first blog award, and I am very pleased to receive this award from Ananth. With great respect, I would like to accept the Liebster Award from you. 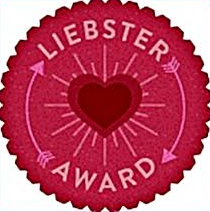 The Liebster Blog Award is given to upcoming bloggers who have less than 200 followers. Liebster is a German word, and means sweetest, kindest, nicest, dearest, beloved, pleasant, valued, cute, endearing, and welcome. Create 11 questions for your nominees. Leave a comment on their blog letting them know they have been chosen. Thank you Ananth Vithlani (Blog: Relationship) for nominating me for the Liebster Award. I enjoy my role as a counsellor. I like things to be well planned and organized. I love eating street (junk J ) food. I am not very talkative, but easily approachable by people. I enjoy watching comedy and thriller movies. I like to track the stock markets. I always want to hit the gym, but too lazy to do so. I prefer keeping away from arguments and conflicts. I wish I could do more for the needy and poor. I keep away from leadership roles. Rather prefer working as a team. At what age you started writing? I started as a blogger in September 2011, around the age of 28. Initially, I seldom used to write blogs, but lately I have been blogging more often. About what subject you write? I write on topics related to career and professional development. That includes topics related to different career fields, self development, exam news, professional development, and offbeat careers. Also, I write articles for Parsi Times weekly newspaper. I do not have a fixed schedule. Whenever I get time, I like to write on blogger. What you don’t like in blogging? I have just started exploring the world of blogging. So, I am enjoying every bit of my experience with it and also my interaction with other blog friends. Do your family members read your blog? No. My family members are not very internet or tech savvy, so they do not read my blog. What do your family members think about your Blog? They are not following my blog, so can’t comment on it. How many blogger friends you have? How did blogging help you? It has helped me make many new blogging friends. Also, blogging provides me an insight into what other bloggers think and feel. What is your writing Goal? My goal for writing blogs is to educate our youth on career development. Your blog posts display a great sense of imagination and creativity. Keep up the good work. I would like to suggest that posting blog posts more often will help in increasing your web presence. If you were a crayon, what colour would you be and why? What would be the first thing you would buy, if you won Rs. 1 cr. Jackpot lottery? If any character from a movie or novel could be your best buddy, who would you want it to be and why? What is your most favourite social media tool, and why? You are given an opportunity to direct a commercial Bollywood movie. Which actor and actress would you cast for the lead roles and why? Who inspires you and what is your favourite quote? Do you have a special talent? Explain. What is the funniest thing you have ever done? Where would you go for a dream vacation and why? Congratulations once again to all the nominees… And special thanks to Ananth.